This Safavieh Adirondack area rug infuses contemporary style into any room in your home. Add this indoor rug to your home for a comfy, yet stylish design option since it is made from plush polypropylene material. This product is machine-made, which assures quality. Modern style meets quality in this vintage/distressed patterned blue rug. Adirondack Mackenzie Slate / Ivory 6 ft. x 9 ft. Indoor Area Rug This Safavieh Adirondack area rug infuses contemporary style into any room in your home. Add this indoor rug to your home for a comfy, yet stylish design option since it is made from plush polypropylene material. This product is machine-made, which assures quality. 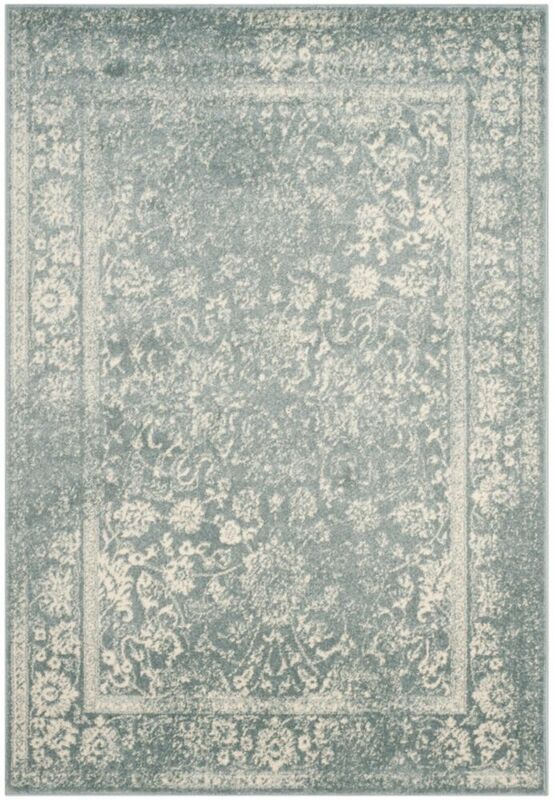 Modern style meets quality in this vintage/distressed patterned blue rug.